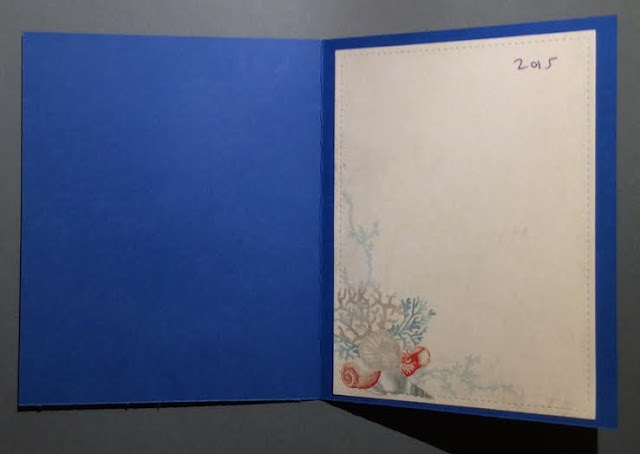 Today I show two cards--a wedding card and a congratulations card. The wedding card was for the same friend of the wine charms from my last post, so I again used paper from Authentique's 6x6 Seaside. 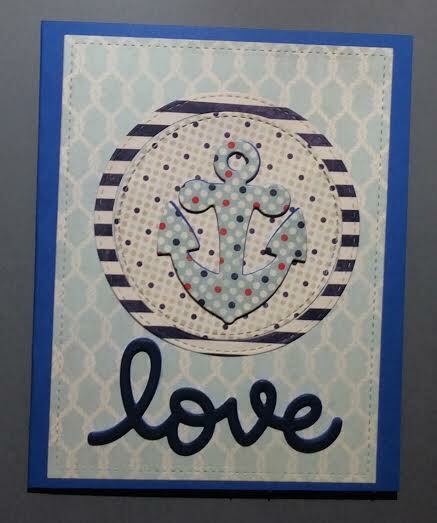 As for dies, I used Lawn Fawn's Small Stitched Rectangle Stackables, Lawn Fawn's Scripty Love, and the Paper Smooches' Anchor. 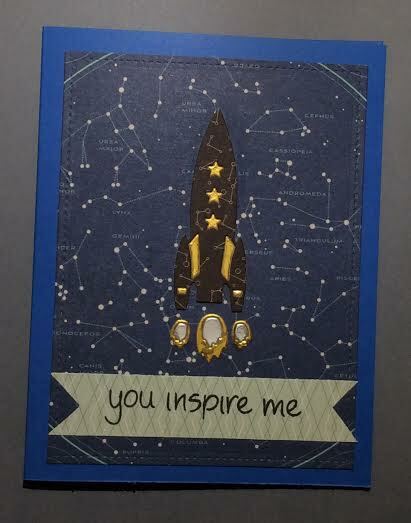 My other friend, Lady J, successfully defended her PhD dissertation, and I thought the wonderful birthday die I received would be perfect for a celebratory card--Echo Park's Rocket Ships. I also used basicgrey 6x6 Aurora and Echo Park's 6x6 Getaway. These are both fantastic, Lael! You are able to do such amazing things with those papers and dies.